Columbia College of Expression went through a period of great change following the deaths of its founders. The media landscape of the time was changing as well. The birth of radio created a completely new way to communicate, and Columbia had to respond. Columbia College of Expression had been operating for nearly 40 years when co-founder Mary Blood died at age 76, two months before classes began in the fall of 1927. Guided by the board of trustees, Columbia joined forces with the nearby Pestalozzi Froebel Teachers College (PFTC) in 1927 and moved into shared facilities downtown. PFTC was Columbia’s sister institution until 1944; the two schools operated as separate entities that shared faculty, staff and resources. 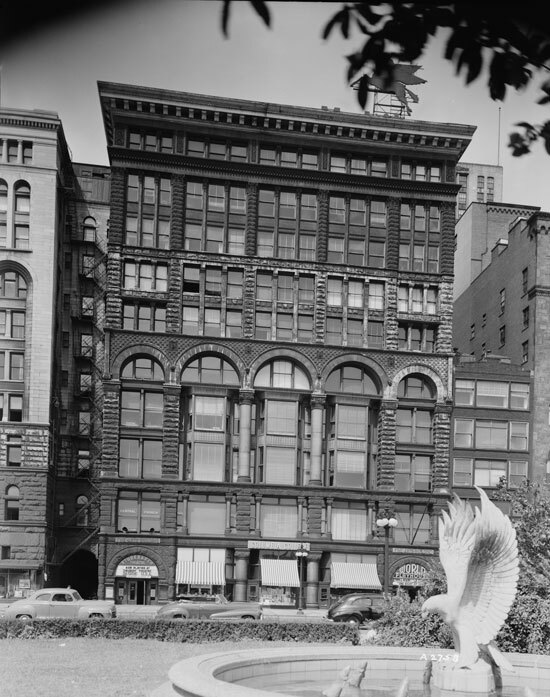 Together they occupied space in the Arcade Building at 618 S. Michigan Ave., which included administrative offices, classrooms, a library, an assembly hall, a dance studio, a kitchen with a dining area and a small theater. Reverend Dr. George L. Scherger, who had already spent a decade at Columbia as a faculty member and dean, served as president of both colleges from 1927 until 1929, when he returned to his work as a pastor. 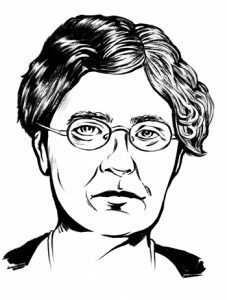 Columbia’s next president, Bertha Hofer Hegner, was the founder of PFTC and an influential figure in Chicago education, establishing one of the city’s first kindergartens at the Chicago Commons Social Settlement, a charity organization similar to the famous Hull House. Her son, Herman Hofer Hegner, became Columbia’s president in 1936. 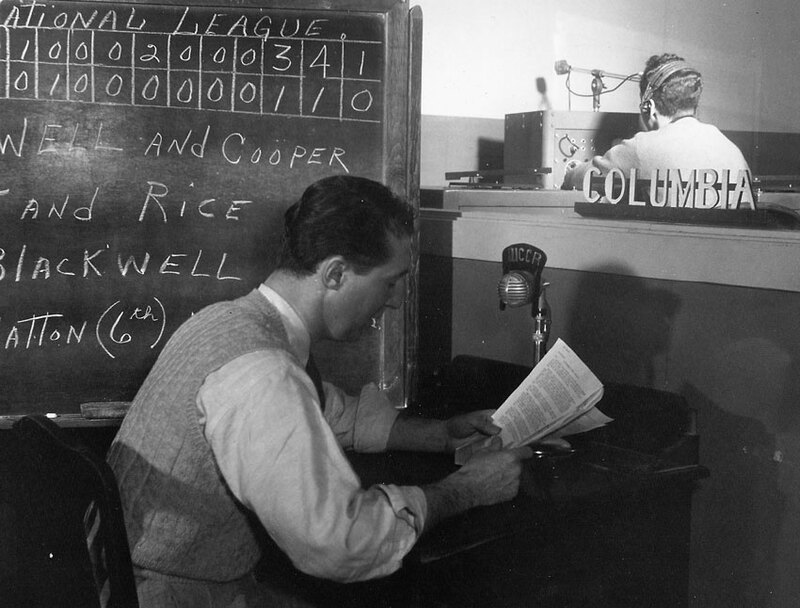 In the ’30s and ’40s, radio changed everything, prompting Columbia to respond to the need for trained broadcasters. 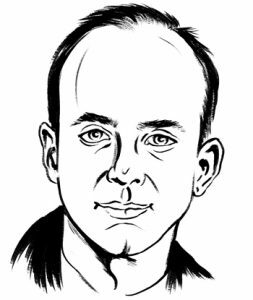 Just a decade earlier, American culture was dominated by the spoken word, delivered live—on the lecture circuit, the pulpit and the stage. But in the years that followed, radio changed everything, prompting Columbia to respond to the need for trained broadcasters. In 1934, Herman Hofer Hegner recruited radio producer Norman Alexandroff to head a new Radio Department. Together, Alexandroff and Hegner put Columbia on the academic map with a study demonstrating that children were equally absorbed by educational radio programming and action/adventure programming if they were both presented with the same dramatic gusto. By 1939, a year often called the greatest in Hollywood history, the college added courses in 16 mm film production. This was the beginning of Columbia’s transition to a media college, and would prove to be critical to the school’s success in years to come. 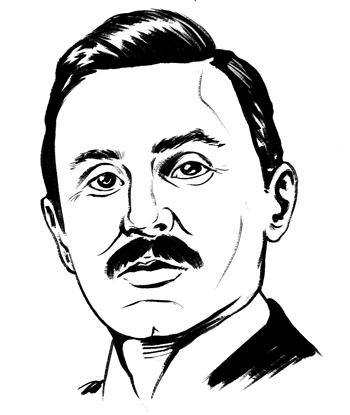 Born in Indiana in 1874 to recent immigrants from Germany, George L. Scherger was a minister, musician, writer, historian and professor known for his public speaking skills. Bertha Hofer was born in 1862 in Claremont, Iowa. After graduating from the National Kindergarten and Elementary College in Chicago in 1890, she studied early childhood pedagogy at Pestalozzi-Fröbel Haus in Berlin, Germany, founded by the man who created the concept of kindergarten. She later attended the University of Chicago and Columbia University in New York, then married the Reverend Herman Frederick Hegner in 1896. In the 1890s, Hofer Hegner established one of Chicago’s first kindergartens at the Chicago Commons Social Settlement and founded the Pestalozzi Froebel Teachers College of Chicago, which partnered with Columbia in fall 1927. She also wrote a monograph, “Home Activities in the Kindergarten,” for the U.S. Bureau of Education, which detailed integrating household chores like cooking and spinning wool into the classroom. Though she retired from active teaching in 1929 due to illness, Hofer Hegner served as president of both institutions until 1936. She died in 1937. Herman Hofer Hegner was born in 1902 in Chicago to Bertha Hofer Hegner, president of Columbia College of Expression from 1929 to 1936, and the Reverend Herman Frederick Hegner. By 1926, Hofer Hegner was an instructor of English and philosophy, as well as the business manager, at Pestalozzi Froebel Teachers College (PFTC), the school his mother founded. He was appointed secretary-treasurer in 1929, a position he held for eight years. In 1930, he took on the role of acting president of both PFTC and Columbia when his mother became ill. 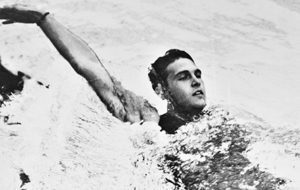 In the late 1930s, Adolph Kiefer (BA ’40) was truly a big man on campus, having just won a gold medal for his backstroke at the 1936 Olympics. More fame was in store: Paramount Studios gave him a contract to play Tarzan in an upcoming movie and sent him to Columbia to learn acting. Kiefer orchestrated a life-saving program that taught thousands of U.S. Navy men how to swim. But World War II altered a lot of plans, including Kiefer’s. Instead of going to Hollywood and two more Olympics (the 1940 and 1944 games were canceled because of the war), Kiefer moved to a sea base in Virginia. Seeing that U.S. soldiers were dying in German submarine attacks because they couldn’t swim to shore, Kiefer orchestrated a life-saving program that taught thousands of U.S. Navy men how to swim. Later, he opened Kiefer Swim Products and revolutionized swimming a different way—by inventing the nylon suit to replace traditional cotton and wool swimsuits. Now 98, Kiefer is Columbia’s oldest living alumnus and a testament to the many ways Columbia students go on to innovate and build their own careers. 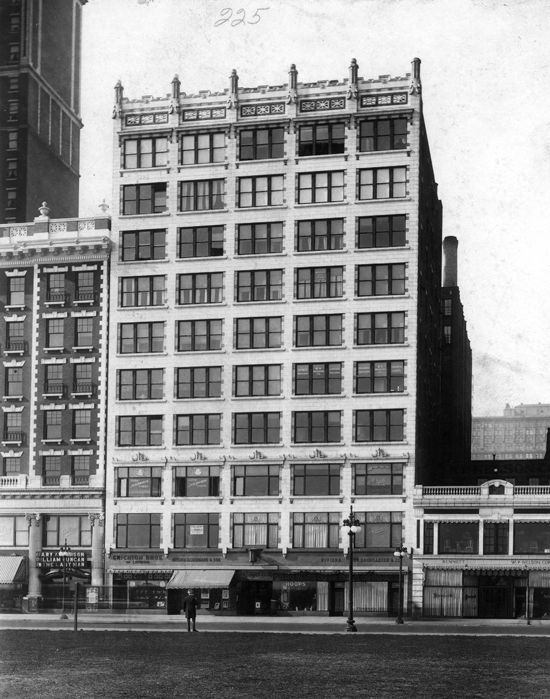 In the 1920s, many student productions took place in the Arcade Building at 618 S. Michigan Ave. 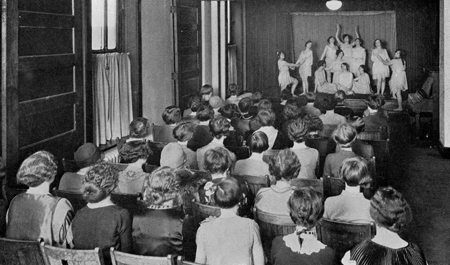 The college’s Little Theatre staged plays, dances, puppet shows and more. 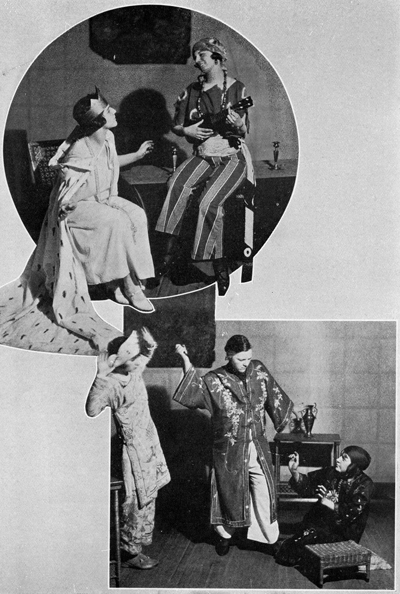 The below image shows a tableau, or living picture, put on by students in 1928. The pictures to the right show students posing in scenes from the children’s play Ten Minutes by the Clock, which tells the story of a queen trying to escape her kingdom’s strict traditions. The Arcade Building 616 / 618 S. Michigan Ave.
Trivia: Designed in 1913, this 10-story building originally housed specialty shops, photography studios, publishing offices and the American Red Cross. Trivia: Constructed in 1885, this building once housed the Studebaker wagon and automobile company. Columbia opened the Veterans Administration Guidance and Research Center here in 1945. Then: In the 1930s, students and faculty engaged in community programs, including one that assisted with the rehabilitation of newly released prisoners and another that launched young actors into their careers. Now: Columbia continues to engage the community in myriad ways. Sometimes, individual classes take on a charitable cause. One fashion business course taught by Dana Connell helped Bridge to Success, a nonprofit that provides donated professional clothing to people exiting rehabilitation. 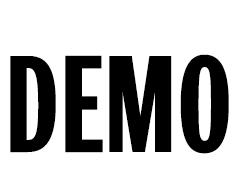 Students developed a new business model for the organization when the recession of 2007 threatened the program’s sustainability.